NIS America has a brand-new trailer for the upcoming title, PSYCHO-PASS: Mandatory Happiness, which guides you through the dystopian world of PSYCHO-PASS. 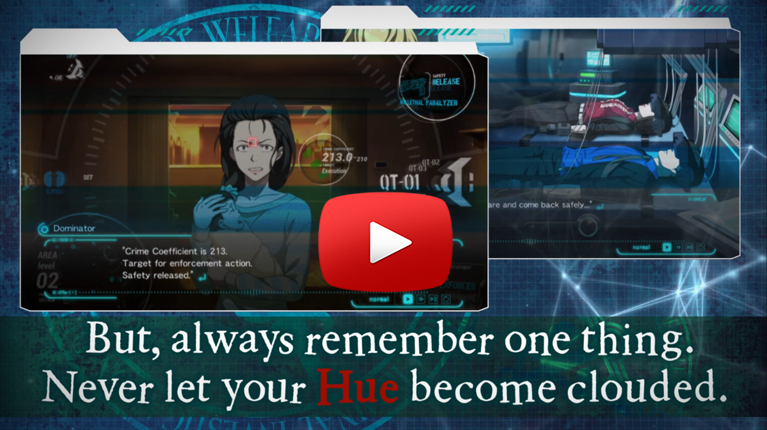 Alongside today’ trailer they released new screenshots, which can be seen in this post and info on US PSN accounts being able to redeem the first two Season 1 (subtitled) episodes of the anime with purchase of PSYCHO-PASS: Mandatory Happiness. PSYCHO-PASS: Mandatory Happiness will release in North America on September 13 and Europe on September 16 as both a physical and digital release on PS4 and PS Vita. The game is also coming to Windows OS via Steam, and we will have more information on that at a later date.